“I was born with a particular sensitivity to words. Some people are very good with math and sports… I wasn’t but I could feel words.” Perhaps this early relationship with words explains a certain sensuality that characterizes not just her literary works but also Mayra Santos-Febres, the woman. With admiration, Mayra credits her mother Mariana for her sensuality, confidence and healthy sense of self. Mariana Febres often took her daughter Mayra and the neighborhood children on exploring expeditions in Puerto Rico, getting to know its rivers and beaches, and inspiring Mayra’s love for the island. Mayra’s mother was a teacher by profession and an educator at heart. Photo courtesy of Mayra Santos-Febres. Mayra learned the value of community and generosity from her mother. And Mariana’s strength, confidence and beauty provided her daughter with inspiration to write; a place of peace, a “homeland” as Mayra describes it. So she turned to pen and paper, escaping a world of uncertainty and anger. “Writing is so engrained in me, it’s who I am,” says Mayra, who has proven herself apt at creating worlds in diverse literary genres: poetry, novels and scripts. In 1991, she received critical acclaim for collections of poetry: Anamu y manigua and El orden escapado. 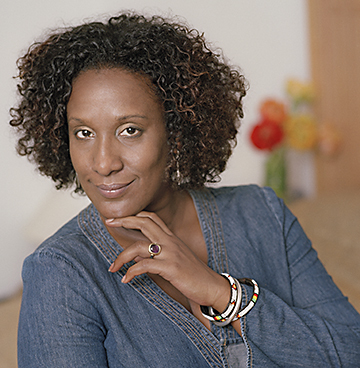 Three years later, she published Pez de Vidrio, a collection of short stories probing complex relationships involving race, sexual desire, social and political status and identity in the Caribbean. 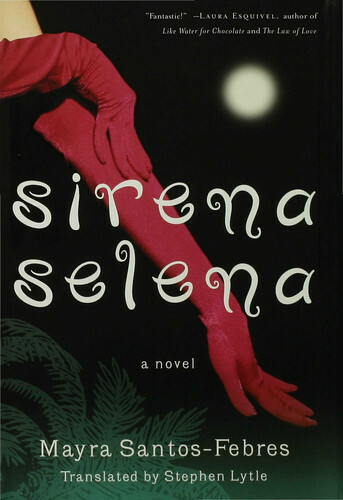 In 2000, her first novel was published, Sirena Selena vestida de pena which follows the life of a San Juan homosexual drag queen endowed with a golden singing voice. 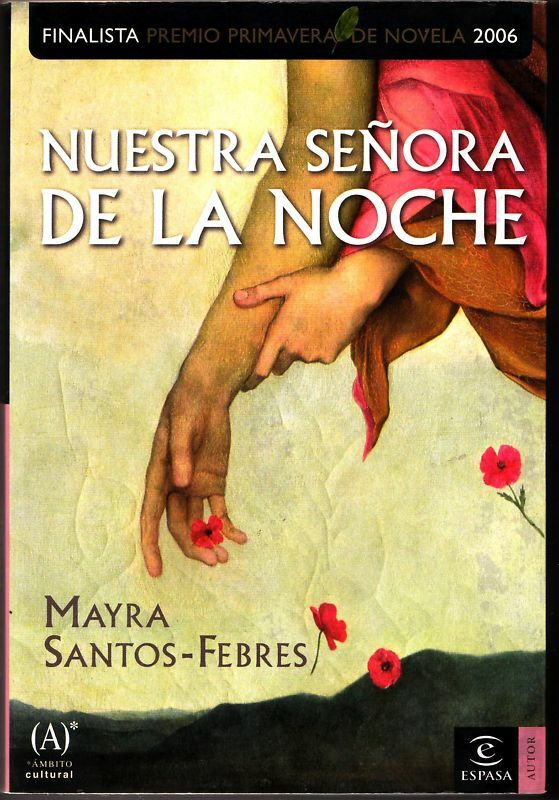 Nuestra Señora de la Noche was published in 2006 and chronicled the life of Isabel “La Negra” Luberza Oppenheimer, an impoverished Puerto Rican girl from Ponce. Isabel became the owner of one of the island’s most infamous brothels and she was the mistress of one of the commonwealth’s most powerful white politicians. With a rich and varied body of work, Mayra’s talents have been honored and recognized. She was awarded a Guggenheim Fellowship, the Juan Rulfo Award and Puerto Rico’s Premio Nacional de Literatura. And now she can add an Academy Award Nomination in the Foreign Language Category to her list of accomplishments for the 2009 film, Kabo y Platón. Mayra seems to have made peace with her family; accepting the passing of her brother and understanding the challenges and unfulfilled dreams of her father. One thing to appreciate about Mayra, currently a professor of literature at the University of Puerto Rico, is her continuing quest to discover, challenge herself and create community. Mayra Santos-Febres is a lifelong educator, following in the footsteps of her mother. It’s safe to say Mariana Febres would be very proud of her daughter. As an Afro-Latino poet and writer, I intimately feel her sentiments. Palabras sangran miel de mi alma. I am so grateful that this blog exists and I’m going to investigate more of her work. Hi Anthony! So glad to hear you enjoyed reading Mayra’s story and you were empowered by the post. That’s exactly why we do what we do. We wish you the very best! !